A fire depends on the variables involved. A log fire, for example, is a controlled fire that is designed to safely radiate heat for our comfort. The way a fire behaves depends on the type of fuel involved. It also depends on where the fuel is located, how close it is to other fuel sources and even the weather or environmental factors. For an outside fire, the shape of the ground also has an effect. Fuels ignite at different temperatures. A fuel requires a certain amount of heat before it will change state into a gas and then it needs more heat to trigger a reaction with oxygen. How much heat is generated depends on the types of molecules that make up the fuel type. The most flammable fuel types are called hydrocarbons and contain carbon and hydrogen. These mix with oxygen easily to create carbon dioxide, other gases in the air and water. A wildfire differs from a log fire in that it is uncontrolled, intense and can spread quickly. The speed at which a fuel catches fire is impacted by the size of the surface area or the size of the fuel. A large area of wood will take much longer to absorb that heat energy to a temperature high enough to ignite. A branch or twig though, will burn much faster because of its smaller size, it can heat up much quicker. The larger the size of the fuel source, the more oxygen molecules are able to collide with the fuel. The higher the number of oxygen molecules hitting the fuel per second, the faster the rate of combustion. For example, a powder has a large surface area and therefore a much faster reaction rate. How much heat is produced and released depends on the type of fuel involved. There are many different types of chemical compounds and how they react with oxygen differs greatly. Some of them contain a lot of heat energy, while others contain very little. How much oxygen is available also impacts the rate of burn. A low amount of oxygen makes it harder for the fire to burn and will slow it down. However, a dangerous phenomenon where there is low oxygen is known as backdraught or flashover. 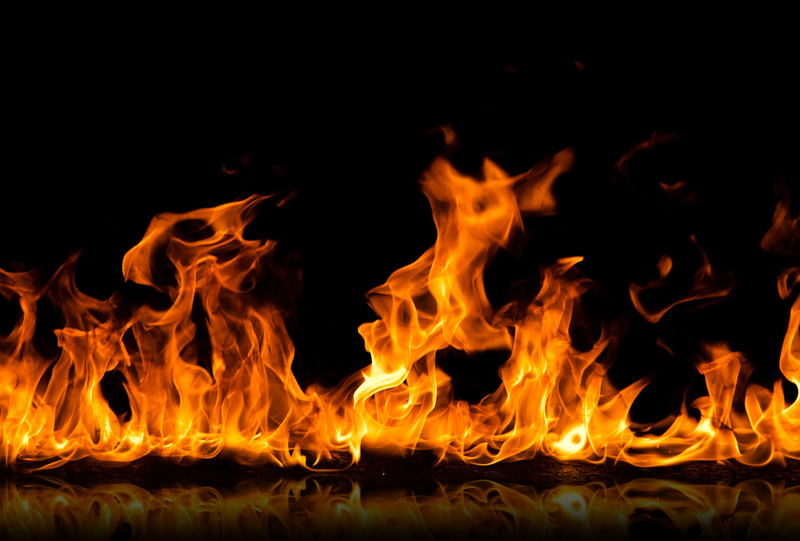 This occurs when a fire in an enclosed space has used up most of the available oxygen and enters a smouldering phase. If someone opens a door or window and a sudden rush of oxygen enters, the fire will explode into flames again.